Foreign workers who seek to change employers in Shanghai are now required to submit additional documents such as legalized diplomas with their applications, which will significantly prolong the processing time for this application. Beijing, Guangzhou and Shenzhen are not requiring additional documents yet. However, these and other cities in China are expected to start implementing the new requirement in the near future. Some Chinese cities may require an original diploma for a change of employer application. Under the Unified Work Authorization policy being implemented in China , foreign workers who seek to change employers in Shanghai are now required to submit additional documents such as legalized diplomas with their applications, which will significantly prolong the processing time for this application. Previously, a legalized diploma was not required for an employee to change entities in China. Beijing, Guangzhou and Shenzhen are not requiring additional documents yet. However, these and other cities in China are expected to start implementing the new requirement in the near future. Some Chinese cities may require an original diploma for a change of employer application. The diploma must be legalized in the country in which it was issued. Government processing times and legalization requirements vary in each country of origin, but can take as long as one to two months. Employers who seeking to initiate an entity amendment application should notify their immigration professional at least three months before the employee's start date to commence the diploma legalization process. This alert is for informational purposes only. If you have any questions, please do not hesitate to contact the global immigration professional with whom you work at Fragomen or send an email to CNInitiations@fragomen.com. 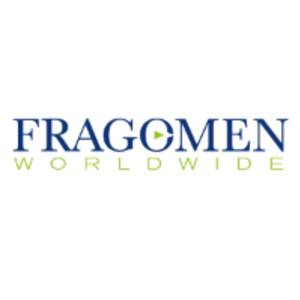 Fragomen in China is Fragomen (Shanghai) Co. Ltd., operating exclusively as an immigration consultancy and not as a law firm in China.